This article will explain how to connect to any of our JDBC Drivers with the DBeaver database manager. 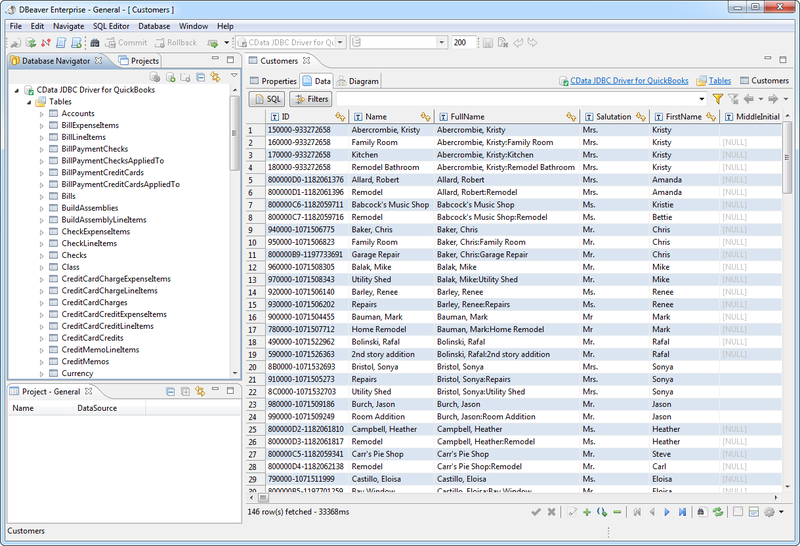 This article uses the JDBC driver for QuickBooks as an example, but the same process can be followed for any of the CData JDBC Drivers. 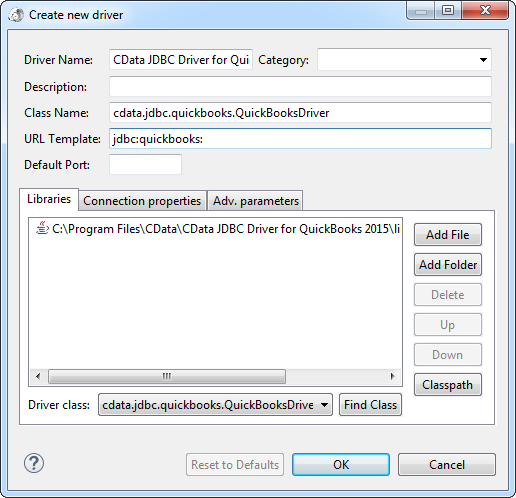 In the create new driver dialog that appears, select the cdata.jdbc.quickbooks.jar file, located in the lib subfolder of the installation directory. Click the Find Class button and select the QuickBooksDriver class from the results. This will automatically fill the Class Name field at the top of the form. The class name for the driver is cdata.jdbc.quickbooks.QuickBooksDriver. 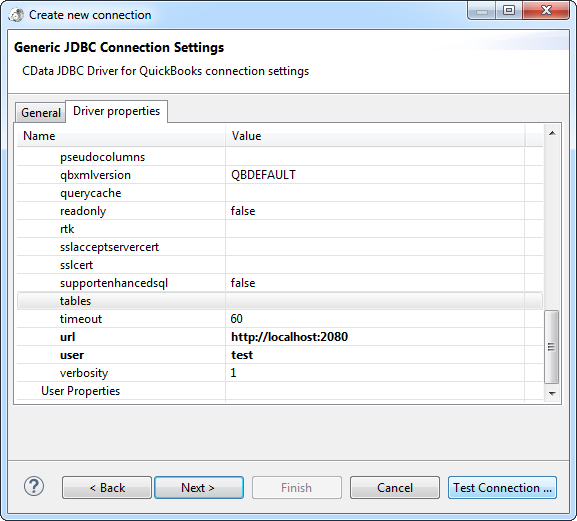 Add jdbc:quickbooks: in the URL Template field. On the next page of the wizard, click the Advanced tab. User: The username to be used to authenticate to the Remote Connector. Password: The password to be used to authenticate to the Remote Connector. URL: The location and port where the Remote Connector is running. You can now query information from the tables exposed by the connection.